Oh dear, it just isn't going well and the Championship is looming large now. I find it hard to get wound up with either the current manager, or the team. The damage was done back in January, when the club failed to dump the abject Mauricio Pellegrino while there was still time to improve. The pressure on the players now must be immense and with a few notable exceptions, the truth is that they are probably just not up to it. Today, Saints were up against their old manager, who seems to be doing a decent enough job at Leicester. They are in that no mans land that we were so familiar with in recent seasons, neither close enough to the top six to threaten and far enough away from the danger zone, not to need to worry about it. In other words they had nothing to play for and Puel was using the match to try out new things. For Saints part, Hughes sent out the exact same team that performed so well against Chelsea for 70 minutes, in spite of the efforts of Mike Dean. My only reservation was the way the team folded then. Unsurprisingly, the team looked devoid of confidence after the body-blow of that defeat at the hands of Chelsea. It took nearly 20 minutes of the game before they managed a half-hearted attempt on the Leicester goal. 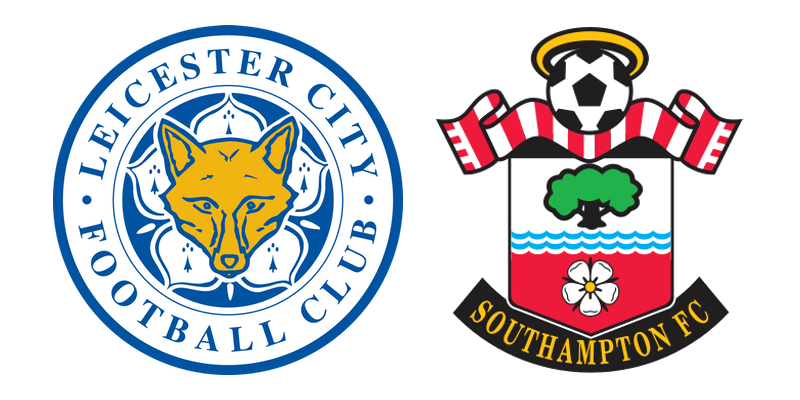 Most of the rest of the first half continued in much the same vein, with Saints failing to trouble a clearly disinterested Leicester side. Towards the end, there were signs of a resurgence, with Bertrand and Cédric having chances, but in all honesty Saints really looked like a struggling side on the brink of relegation. The second half did see some improvement, with the team showing more intent and effort, but for the long suffering Saints supporters at the match, there wasn't much to get excited about. The team managed just two shots on target all match, with the first coming on 57 minutes when Long had a weak shot directly at Hamer in the Leicester goal comfortably saved. The fans had to wait until 90 minutes for the second effort. Although Leicester were clearly in end-of-season mode, McCarthy still had to be alert and tip over a shot from Vardy as the home side appeared to wake up from their slumber towards the end of the match. In truth though, this was a pretty dull match and although Saints didn't concede three goals, as they have done in the previous four league matches, neither did they look likely to score a single goal. So, a goalless draw was as much as could be expected. A point away from home in normal times would be a decent result, but this was yet another glorious chance spurned, as Saints slip ever closer to relegation. After the match, Mark Hughes was quoted as saying "We need to be on the front foot .... We have to ask more questions than we did of Leicester." I think that is stating the obvious, but at least they have the light relief coming up of an FACup Semi-Final at Wembley against Chelsea. Without the pressure of the League, will we see the real Saints then?